It seems the older I get the more anxious I get. I worry about things that I never in a million years would have worried about in my twenties. I worry about money, I worry about my dog, I worry about my family, I worry about stuff at work. Worry, worry, worry. And when I worry, I overeat and become lethargic. So, growing anxiety, lethargy, and eating are not a good combination. 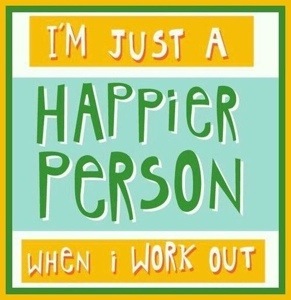 I have found that when I exercise – even if it walk for 30 minutes – I feel SO much better. The heaviness of every thing just feels a lot lighter. I’ve recently committed to do my best to walk on our treadmill for 30 minutes, five times a week. I feel like it is a good starting point, and it doesn’t seem too daunting to get on the treadmill when it is only for 30 minutes. I usually end up on it for about 45 minutes because that is how long most of the shows I watch on Netflix are. I am so glad today is Thursday and that next week is the last week before Christmas Break. I was just talking to my fellow teachers, and we agree it is definitely time for a break. The kids are so hyped up about Christmas, it makes it difficult to keep their attention. I hope everybody had a good week! This entry was posted in Compulsive Eater and tagged anxiety, Christmas break, exercise, vacation, walking. Bookmark the permalink.